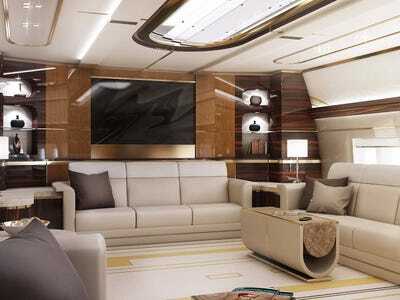 For most people, private jets such as the $61.5 million Gulfstream G550 or the Bombardier Global Series are the epitome of luxury air travel, but there are a select few who can afford more than that. 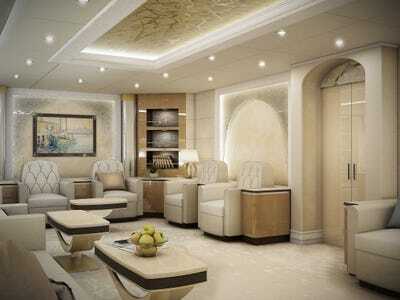 They’re converting airliners into private flying palaces. The most famous example in recent memory being Donald Trump’s $100 million Boeing 757-200 business jet. 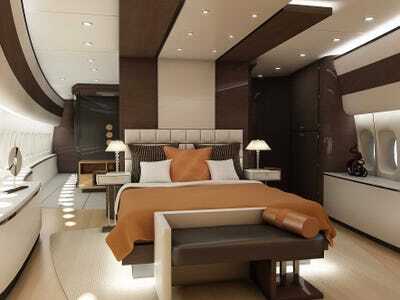 To meet this demand, Airbus and Boeing have begun selling “VIP” versions of their airliners under the Airbus Corporate Jet and Boeing Business Jet brands. 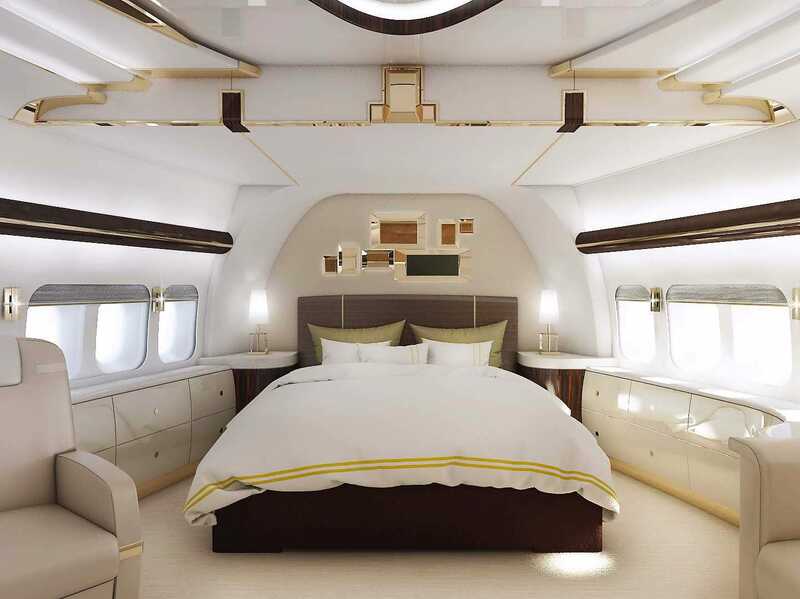 While most of these planes are based on smaller Airbus A320 series or Boeing 737 models, one recent VIP conversion took luxury to a new level. 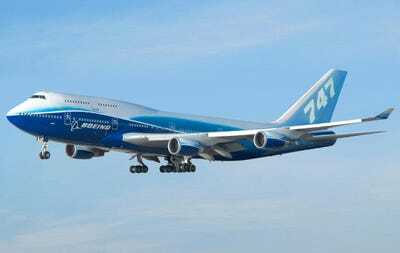 One very lucky, very wealthy, and very confidential client took delivery of a personalised Boeing 747-8, completed by Greenpoint Technologies of Kirkland, Washington. Its incredible 4,786 sq. ft. of space features a stateroom, lounges, an office, and a massive dining room. 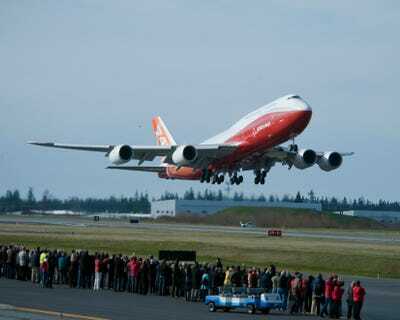 The Boeing 747-8 VIP is the longest and second-largest airliner ever built. Powered by a team of four General Electric GEnx engines, the plane can fly 8,000 nautical miles nonstop. 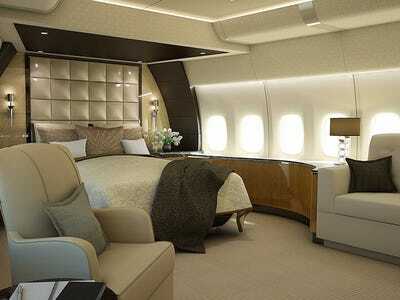 The asking price for the jumbo jet is $367 million -- and that's before the all the luxurious goodies are installed. As you may have guessed, all of the interior components and cabinets are custom designed and built in house using only the finest materials. I mean, just look at this lounge! It's spectacular. Here's the lounge from another angle. And if you'd like the lounge in another design, no problem! 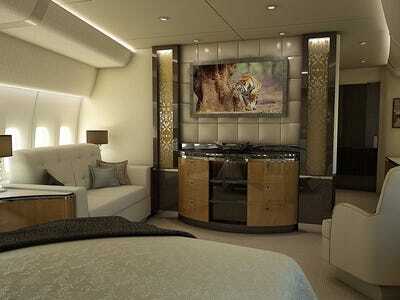 The 747-8 can be customised any way the client likes. Want to take a nap? 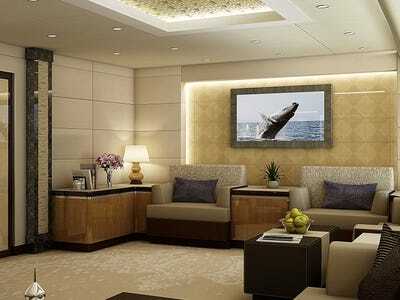 Check out the regal stateroom. Or you can look out the window as you soar above the world. As with any other part of the plane, you can have it any way you like. ... even makes the world's luxury hotels somewhat obsolete. ... can double as a stately dining room, when necessary. And what about the big hump on top of the 747-8? There's a lounge up there too!